The ARISS Operations Team meets weekly by telephone conference and much more frequently via e-mail and telephone. Activities coordinated by the ARISS operations team will be announced in this public Google Calendar. These are the ARISS school contacts, HamTV activities (other than blank transmission) and SSTV activities. On this page we show the ARISS contacts calendar in a Google Calendar format. This calendar allows you to share ARISS contacts with other calendars or it allows you to integrate info about ARISS activities into your own calendar. Use this code to embed this calendar in a web page. You can customise the code or embed multiple calendars. Use this address to access this calendar from other applications. • See ARISS Calendar events on Apple Calendar on your computer or iPhone or iPad. • Sync ARISS Calendar with computer programs like Outlook. 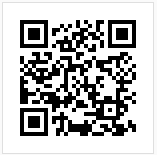 You can easily integrate the ARISS iCalendar into your own calendar on your mobile phone by scanning the QR code. • Take the smartphone, tablet or computer on which you want the ‘ARISS Scheduled Contacts (GMT)’ Calendar. • Log in with your Google+ account or Google Calendar account. • Once you have logged in correctly, go to this page (where you are now). • Check whether the calendar is visible and whether the page itself is fully loaded. • Click on the button, which is located at the bottom right of the ‘ARISS Scheduled Contacts (GMT)’ Calendar. • Then follow the instructions and choose the calendars you want to follow. • Then update / update your own Google Calendar. • The time display of the ARISS operations adjusts itself with the time setting of your own calendar.